THE first death of an endangered species turtle at Chevron’s controversial Gorgon gas site on Barrow Island has sparked a major investigation. The juvenile hawksbill turtle was sucked into equipment during dredging to deepen the port for shipping access to the Class A nature reserve for construction of the $43 billion liquefied natural gas project. The Department of Environment and Conservation has confirmed it the turtle death is under investigation. 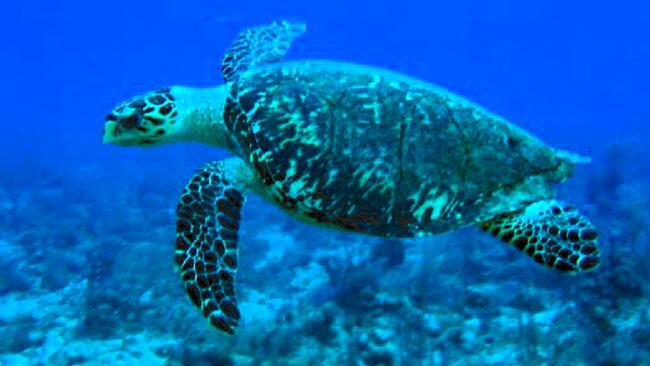 The turtle was discovered on Thursday in a dredging overflow tank 3km off Barrow Island. The island is home to a host of rare, endangered and endemic species and is surrounded by gardens of unique coral. The discovery of the dead turtle has sparked outrage from conservation groups who strongly opposed Australia’s biggest resource project being at such an environmentally fragile site. The Barnett Government approved the location despite advice from the Environmental Protection Authority that it should be built on the mainland. Conservation Council marine expert Tim Nicol said dredging was also destroying pristine coral reef. “It is hard to understand how you can have a situation where a critically endangered animal can be sucked up and spat out by dredging machinery,” Mr Nicol said. Gorgon is expected to produce 15 million tonnes of LNG, while creating up to 10,000 jobs. Chevron said in a statement that it did not know what had killed the turtle. “Dredging activities started last month. We are not aware of any other turtle incident in that period,” it said. Last week The Sunday Times revealed on its PerthNow website that despite stringent rules, nearly 60 quarantine breaches had been recorded by environmental officials. Biohazards including soil, seeds and mould have been accidentally transported on to the island since work began last September. A Chevron spokesman said the quarantine events showed the company’s management system was working. “It highlights why our quarantine program consists of three elements – inspection, detection and control,” the spokesman said. Conservation Council director Piers Verstegen said the operations of the oil and gas industry were extremely damaging to the environment no matter what measures they put in place to mitigate the risk.